The instant I heard the source was Buzzfeed I knew the story was BS. Mueller spokesman didn’t say the story wasn’t true, he said the story was “inaccurate”. That leaves wiggle room for the media spectacle to continue. Media spectacle, well said. Nothing but manipulation of public opinion. Buzzfeed at some point needs to defend itself against Defamation and Libel lawsuits. First their involvement in the Pee Pee Dossier and now this latest fake news. On the opposite side the public needs to know the truth. We need to strengthen laws regarding “redactions”, freedom of information laws need to be focused on protecting the people from government overreach, not politicians from being held accountable. The lies, crimes, and character defamation attacks from both the media and politicians needs to stop, if our nation is to survive. President Trump, let’s start with shining the light of truth on the unredacted FISA applications. This multi-year news cycle continuously highlighting the same crimes without investigation has gotten to be very tiring. You promised the unredacted FISA applications long ago, time to follow-up on your promise. The Trump haters know there is a crime there somewhere, because they put it there. During a statement on Saturday, President Trump proposed funding for humanitarian assistance and drug detection technology, increases in Border Patrol agents and immigration judges, changes to the asylum application process for minors, promotion of family reunification, $5.7 billion in border wall funding, and protections for DACA recipients and TPS holders. He added that the plan includes “3 years of legislative relief” for DACA recipients, which will “give them access to work permits, Social Security numbers, and protection from deportation,” and 3 years of TPS extension. He is going to use the state of emergency declaration as a last resort. Right now, the ball is in the democrat’s court. If they follow their stupid course, they will say no to everything and Trump can, with clear conscience declare. 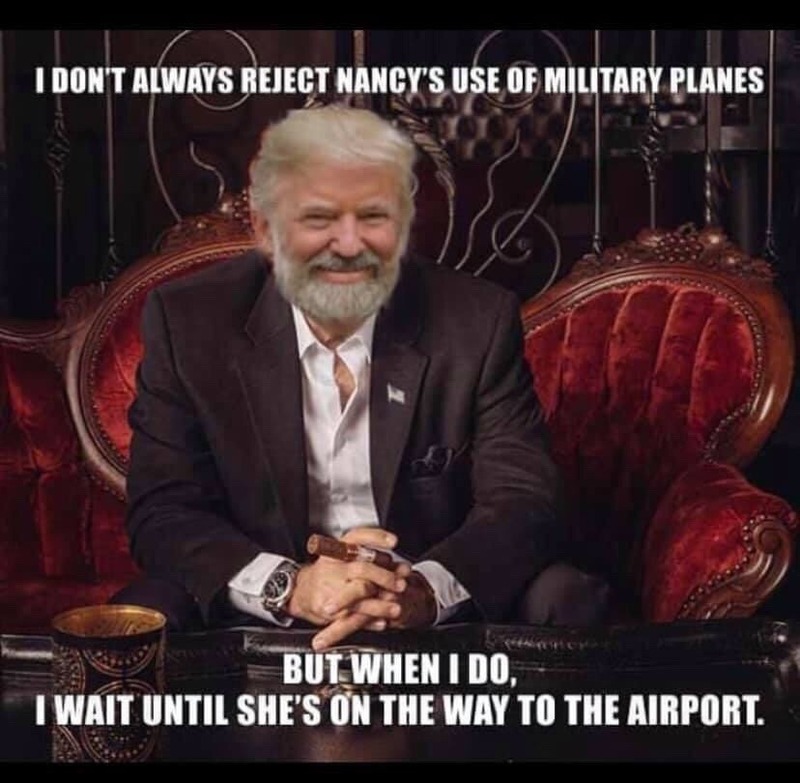 In my opinion, Nancy needs to be careful and not reject today's proposal. Trump made a pretty liberal proposal to get the government funded. If Nancy refuses to play ball, President Trump can always say he tried to work with Congress and she blocked progress. As much as I hate it, dreamers are not going anywhere, so may as well try to get something out of them. And as has been said, President Trump just painted the GDC's into a corner. Not for those who have an IQ above room temperature. The claim was Trump instructed Cohen to lie to Congress. Here are the options assuming that statement is inaccurate: Trump instructed Cohen to testify to Congress, but not lie. Trump instructed Cohen to lie, but not to Congress. Cohen lied to Congress, but was not instructed by Trump. Their admission that the story is inaccurate is also an admission that Trump didn't commit any crime as far as this situation is concerned. My question is, if Cohen has the "Smoking gun", why is he headed to prison? Wouldn't he leverage the evidence he supposedly has in his favor? Barr will be Wray’s boss too. I hope Barr lights a fire under Wray. The FBI, under Comey, tried to interfere in the 2016 Presidential election – felonious behavior. I’d hoped that Wray would ferret out the deep state FBI players that were complicit in that operation, but nothing so far. In fact, I can’t think of a single thing that Wray has done since he was confirmed. I know it's late but I love the whole casual depiction.